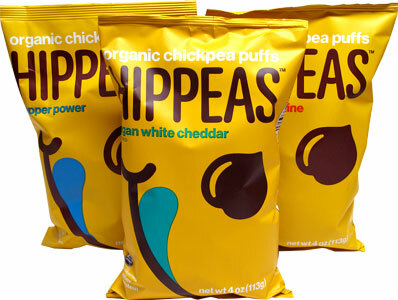 Hippeas Organic Chickpea Puffs don't follow the rest of the snack pack - they go their own way into a whole new world of deliciousness that's good for you and the whole family. 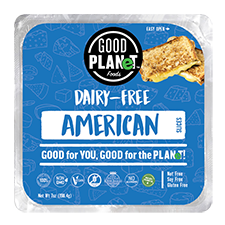 Made with organic chickpea flour and seasoned with delicious vegan cheddar flavor, these snacks are packed with healthy plant-based protein and plenty of good-for-you fiber, making them stand out from the usual snacks that taste good, but aren't REALLY good for you. 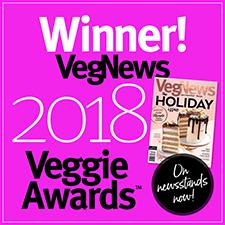 Not only are Hippeas Organic Chickpea Puffs crunchy, delicious and good for you, they're also gluten-free, kosher certified, non-GMO, corn-free, and are made without any artificial additives, flavors or preservatives, giving you the best for your body and your tastebuds. 4 oz. (113g) bags are $3.59 each. Lord help me these are so good that I can not stop eating. From Anonymous of orlando, Florida on 2/16/2018 . These.are.amazing seriously, these are so cheesy and taste just like cheetos! I gave it to my friends (who are all super picky) and they liked them. From Richard Rankin of La Plata, Missouri on 5/27/2017 .